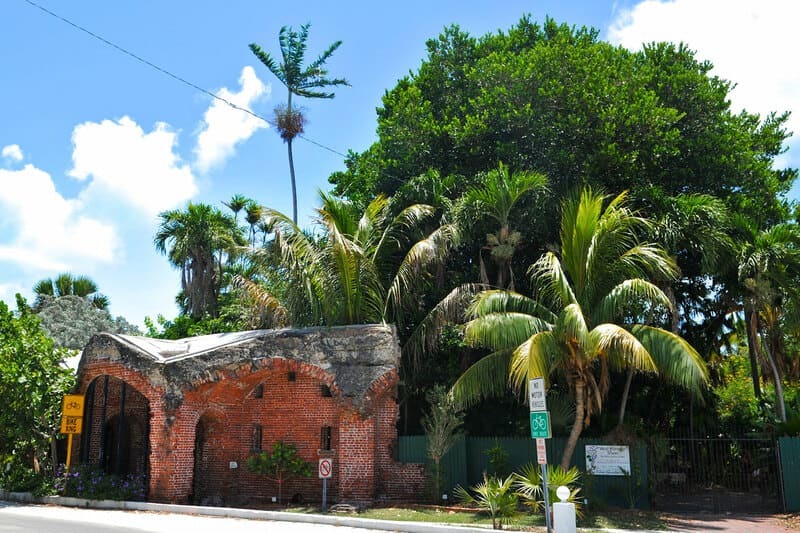 West Martello Tower is located on the Atlantic Ocean and hosts the Key West Garden Club. It has a unique collection of indigenous shrubs and trees, as well as rare orchids. The site is listed on the U.S. National Register of Historic Places. It is the ideal location for nature lovers and history buffs alike. There are quiet alcoves sheltered under large trees beside pretty goldfish ponds. A gazebo at the high point in the garden offers an attractive vantage point with a spectacular view of the Atlantic Ocean, and there is a small museum offering information about the history of the site. The Key West Garden Club offers plant sales during the year that locals flock to attend. The site is a favorite for weddings and private events.